Sip holiday spirit on DAY 11 of the countdown. It's thirsty Thursday, my friends. Raise a glass and toast to pint-sized Turtle Power! The bodacious drinking glass packs a wallop of holiday cheer and mutant kookiness. Raphael in a Santa hat, ninja weapons, a cheesy pizza, AND a one-liner that is utterly ridiculous? You can't fight off the Christmas spirit with a glass this goofy. Clocking in at a pint, the glass is a decent size. There are 16 ounces to fill with eggnog, hot chocolate, or another festive favorite. Still depleting my supply of Crush sodas from the 2014 TMNT Movie, I filled the glass with a can of the Raphael's red strawberry flavor. The sugary taste is still unbearable, but hey, 'tis the season to drink soda from August. The glass is an absolute hit here at The Sewer Den. Is it the simplicity of the design? The silliness? Maybe I'm just a sucker for pepperoni. I plan on sipping from the glass all season long. Down the hatch! 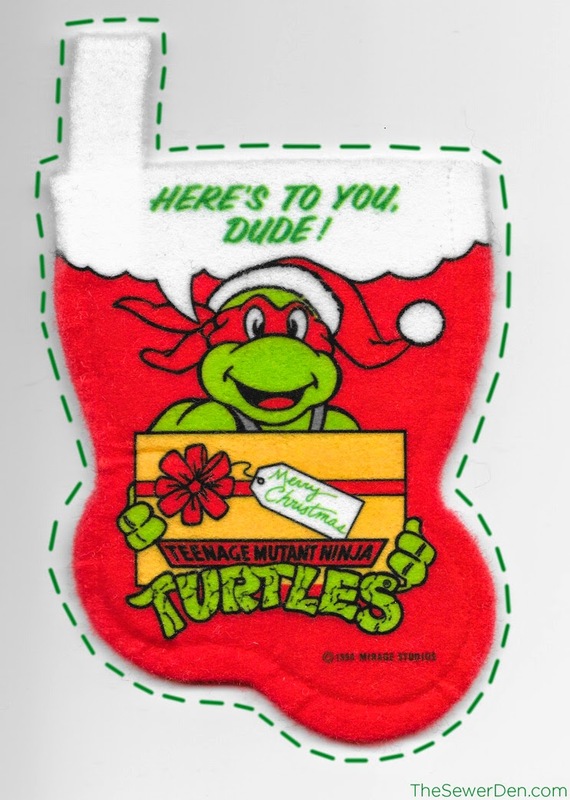 Digging Raphael in a Santa hat? Today's gift is a scan of a 1990 mini-stocking feature the rude dude from the original cartoon series. Print onto an iron-on sheet and adhere it to felt to make your own stocking. Then, hang this rude dude from your mantel or Christmas tree. The image is pretty large. Resize it to your liking! 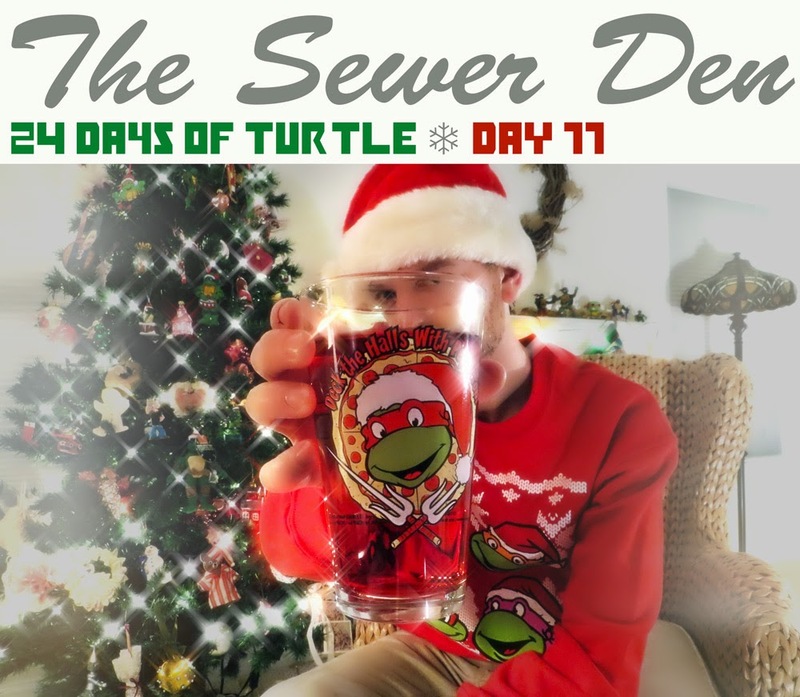 Check back tomorrow for DAY 12 of 24 Days of Turtle for more festive fun, gracious gifts, and possible prizes! Until then, stay jolly, dudes & dudettes! That glass is awesome, where did you track that down? I've got some other TMNT glasses but no Xmas themed ones. The glass really is cool. It's surprisingly one of my favorite items I stumbled upon this season. I'm really pumped to sip on it come Christmas Day! I got the glass at Urban Outfitters. I'm not proud of that. The place is a #HipsterHaven.